Apply solid film lubricant to shiny surfaces. Solid Film Lubricant (SFL) is the authorized touch up for the M16/M16A1 Rifle and may be used on up to one third of the exterior finish of the weapon. protected with SFL. Prior to application of SFL the surface must be thoroughly clean and inspected for corrosion and/or damage. If corroded or damaged, the part must be repaired or replaced prior to application of SFL. Continued use under combat conditions would result in an unprotected surface when the SFL wears off. This would result in a large light reflecting surface and accelerated deterioration of the unprotected surface. Therefore, Divisional Combat Units and units which fall under the definition of Rapid Deployment type must adhere to the limitation of NOT over 1/3 of their exterior surface covered by SFL. If a M16/M16A1 Rifle LOWER RECEIVER is missing one third or more of its exterior protective finish, resulting in an unprotected/light reflecting surface, it is candidate for overhaul. This missing finish will be considered a shortcoming. This shortcoming requires action to obtain a replacement weapon. Once a replacement has been received, evacuate the original weapon to depot for overhaul. Once the missing exterior protective finish of the lower receiver has exceeded one third of its total surface the probability of reclaiming the receiver during overhaul diminishes rapidly. In order to extend the life of the lower receiver, which is the serial numbered item, it is necessary to evacuate the weapon to depot once the missing finish reaches one third of the total surface of the receiver. (a) Inspect lower receiver and extension subassembly (1 ) for corrosion in the lower receiver lobes of the pivot area or hinge pin area. (b) If extensive corrosion appears in these areas the receiver will not be repaired and rifle will be turned in for replacement. 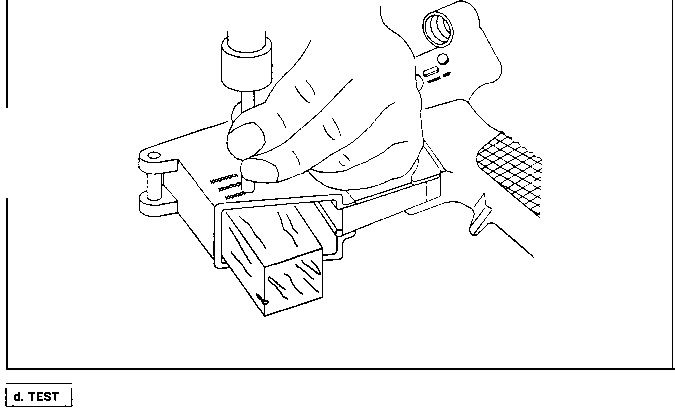 (c) Inspect selector lever stops. If either is missing or damaged/worn to the point of being nonfunctional, the rifle will be turned in for replacement.